911- To Speak or HOLD TRUTH (Q)&(A)non? We are pleased you are here. What if i told you that everything you have been raised to believe is not real? And that life is but a STATE of being. What we are going to share is a "BELIEF" "SYSTEM" that has been superimposed upon society at large in order to condition a concept of spirituality to wage (with wars) against your SLEFworth? So where did all the Gold stored in the twin towers go? We have detailed interviews with a whistleblower whom carted it out of the building just before it went boom… why the diversion, well, because they knew one day they were going to reset to a global economy. WE are, as part of the Harvest of bad guys they are about to let you know they "took care of" in exchange for paying off the national debt. At this point if you have absorbed the material within this site, you are aware that you were issued an ALL CAP's name on your Social Security is actually the TITLE of a TRUST or NAMEsake. Anyone whom has changed their name or adopted a child or changed their "legal" name will tell you that the "EVENT" was documented on title i.e.. DOC# 06:1234567. Yet no one really asks why this is done or why upon those forms you are notated as "THIS MATTER". There are two types of law Statutory Law and Natural Law. Statuary deals with COMMERCIAL Natural deals with the flesh and blood. The concepts of TITLE stem from Medieval Latin. Since everything was owned by Monarchs under Royal order of a holy king held in the name of god, or in hebrew YHWH translated as hakadosh baruch hu or HaShem ("The Name"). But this is not new to our history, this concept of ownership goes all the way back to the first documented script. YHWH is Latin Script for the symbol יהוה. Now some of you may read the APPEAL (Federal Claim - Writ of QUI TAM) as if written by someone whom is a spiritual fanatic. Truth being that it is part of the rules of this ILL conceived game. In the UNITED STATES (To which is purposely all caps under the definition of the LENDER upon all these foreclosed properties) they use certain MAXIMS in LAW to administer what is called JURISprudence (JURIS being an accounting system used by BAR attorneys through the courts CRIS system in ORDER to DOCKET to COMMERCIALLY document the CONTRACT you answered as a SUMMONS. if you answer a SUMMONS your are now a subject proclaiming to hold MATTER (your NAMEsake TRUST) to which the NAMEsake TRUST is the commercial SUBJECT "at hand" or Held. According to The Maxim of Equity, Aequitas agit in personam, in the Latin. In English it is, “Equity acts upon the person.” 4 Bouv. Inst. n. 3733. The PERSON must be able to be seen and known in the public for Equity to act and for its Surety to be rendered relief, redress, and/or recourse with a demand for suborgation if one is being accused of being a mere debtor, and not recognized to be the Surety. Equity is always, always, always, focused on property. Equity is never focused on a monetary/money settlement because, all money is debt and, the concept of money as debt is evidence of the carnal mind that is enmity against God. As long as he is a child, does not differ at all from a slave, though he is master of all, but is under guardians and stewards until the time appointed by the father.” Meaning you are asked to answer God's calling, in other words to realize you are an extension of GOD and hold his spark within because he allegedly created you in his image. (AKA The image of love - JUST to be good - JUSTICE for all, or JUST (put on ) ICE until you figure it out. A person needs to be well versed enough in the teaching of GOD to which also contradicts itself by HANDing blind control over in order "TO BE" "SUBJECTs" to the rulers and authorities, (Titus 3:1, AMP) to follow the "Golden Rule". Back to monarch's - They believe they are the only ones allowed to HOLD "TITLE" meaning "IN COMMERCIAL TRUTH", they own "THE NAME" and everything that is yours. Same for Emperors, Pharos, Kings, Queens, and so on…. The belief is such that you are unable and unwilling to better yourself. In other words, enrich your mind in that you can PROFIT from your experiences. Once you can learn to master your mind, so to speak, you become the creator of your own universe. In other words you hold a part of GOD, or JUST inside you to which you need to cultivate and grow until you can be the MASTER of your own DESTINY aka your NAMEsake. The Social Security Trust, has never been EXPRESSED. In other words, it is absent a Will from the Grantor. Therefore, the Trust has only been implied because of the filing of the SS-5 Form, but no Will was deposited with it. This can also be the case if one has never filed the SS-5 Form, but still made use of the SSN. If one has made a use of the SSN, then they need to express the Trust. It is just that simple. 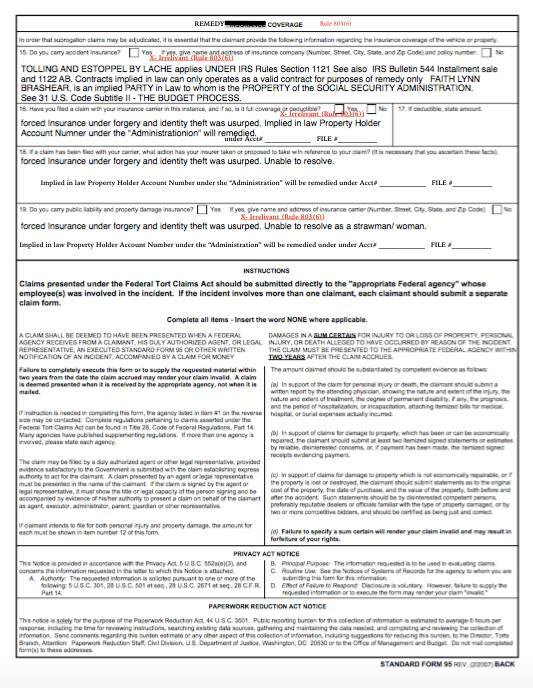 Since no expression of the Will of the Grantor was filed and/or noticed in connection with that SS-5 Form, the PERSON (ALL CAPS NAME, sometimes referred to a STRAWMAN) is still only with infant status. In other words you are still considered children of GOD. (Notice it is the PERSON with said status and not the Living Soul) From this status it is deemed that administration is still required over the Estate because, there is no record of any Will to define the Will and Intent of the Grantor for and on the public record much less give notice that the Heir and Beneficiary has appeared as Grantee to accept the original Deed for the Estate. This means that the Estate is still recognized to be abandoned. This is why the BANKS see you as CREDIT - in other words you are PUBLIC TRUSTS. The only way they can gain access to YOUR TRUST is to turn your trust into a MEMBER BANK because your NAMEsake is a Member of WE THE PEOPLE of the UNITED STATES. The SSA (Social Security Administration) is fully aware of the fact that the Grantor has not yet finished the acceptance of delivery of the original Estate AS Grantee, and as a result of that mistake in addition to this mistake of failure to express a Will for the PERSONA in the public, it is correctly deemed that the Estate and the SSN shall still be, “…held in abeyance,” until these things are done. For when they are complete, they will reveal that the Heir and Beneficiary has returned unto competency, and has accepted all duties, obligations and responsibilities of the Heir and Beneficiary AS Grantee, Surety and Peacemaker, automatically associated with the administration of the Heir’s Estate. When one’s PERSONA is recognized as a Peacemaker and will be afforded the status of DO NOT DETAIN, RELEASE IMMEDIATELY. So then, it is indeed the duty of the Heir and Beneficiary to get along with the administrators of the Public Trust, and to work with them to keep the Public Trust free from debt by performing our required duty as Surety for all the debts issued by our Estates, and converted in the public to take care of the need of the beneficiary in the private, and then on the backside, do the required duty necessary to zero the account and balance the books. You do not do this for someone else Estate, but only for yours, as that IS your duty and responsibility, and each one is with this same duty and responsibility for their Estate as well. This is how we all work together AS One Body to keep the PUBLIC TRUST free from debt, and thereby show in action, “Love one another as I have loved you.” In other words, if we work "COLLECTIVELY" or as A COLLECTIVE we can redeem our NAMEsake in turn giving us SELFworth. 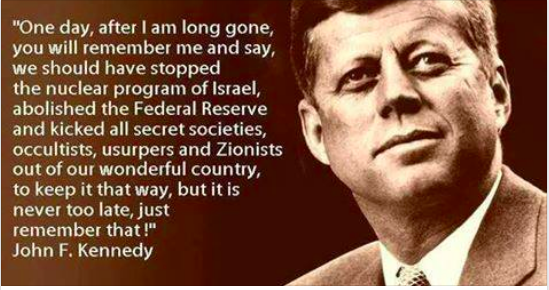 The Federalized BANKING industry has used our NAMEsake to BORROW Credit against our SELFworth in turn making it appear that we have none. The purpose of the Internal Revenue Service is to extinguish all PUBLIC DEBT. But if the PUBLIC DEBT is measured by the ability of an individual to come to the realization that he must be JUST in order to eliminate PUBLIC DEBT in order that he can have his BIRTH BOND REDEEMED in that his NAME is just the name he was given at birth. These TRUSTs are Inter alia (meaning Among other things) to avoid Probate. Inter alia also translates to "THE STUDY". Meaning that "THE NAME" or YHWH is nothing more than "THE STUDY OF HUMANITY". It is a copy of a concept that has been used for centuries. Which begs the question, Whose concept is it? There are those whom are ANONYMOUS who would say that "the COLLECTIVES" are a group of inter dimensional beings who have been monitoring the SELFworth of our Souls and that the Bible was was a warning outlined. GALATIANS 6: 7-9 (KJV) using the NAME as the body-VESSEL (to which TITLE NAMES are registered (recorded) on the department of transport) as a soul(spirit) VESSEL being cultivated for an Eternal Life Harvest. There are MATRIX theories that since we are not really MATTER as our ATOMs (Atom and Eve) are constantly vibrating therefor what appears to be solid is just vibrating the concept of what solid means to our mind. This is a science mix of Chakras within us that act as a frequency tuner that create the illusion of MATTER . 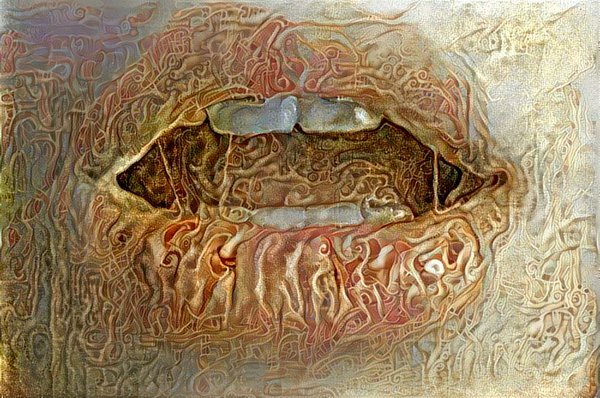 This leads to those whom believe that we are part of a giant computer program under a MASTER COMPUTER CREATOR. IF that is the case then we are already a part of the BORG COLLECTIVE. They are just weeding us out. The concept of a SOUL Vessel to some mean that we were genetically engineered for whatever reason, to HOLD eternal life in a Life support suit. To where their are those whom look at this as an opportunity to tap into the "taste" the soul. The purer the soul the more energy it has. Which can also be applied to how much FIAT money one holds (FIAT- FAIT(H) in GOD WE TRUST) as the promissory note of the UNITES STATES. The more ENERGY = the more MONEY. Or as the BANKS perceives rigged foreclosures for those whom are trying to defend themselves as nothing more than MON(K)EY "SUITS" in TIME's new Roman font. Granted to remain safe from any of this noise is to stay completely balanced, neutral and respectful to all belief's. For whatever this study was about, it is clear that someone out there was MENTALLY CHALLENGED. Life is in living color not LIVING TRUSTS. Applying these logic wisdom, here is our UNIVERSAL APPEAL in FAIT in accordance to the rules of this GAME CALLED LIFE - DECODE THIS!!! THE (Direct Underwriting) DU-MB (TM) (MEMBER BANK) MERS (MORT-GAGE)(dyslexic FIAT-"h" UD Unlawful DETAINER "JURIS ") AKA THE (DEAD's-worth) PRO- S-E(x)-CUTOR ELECTRONIC people=CURRENCY EXCHANGED "EX(s)pend-I-2u-re:s" "REGISTRATION"(recording NAME registry) SYSTEM (TM))"qualifying"(QI-iq) human "USER's"MASTER GRANTING CONVERSION under d/b/a SOCIAL/ (people) SECURITY/ (instrument) implied h="human backed" PROMISSARY§NOTE ADMINISTRATION/ (administer of "REMEDIES") PASSED-THROUGH to see if a §GAIN could be REAL-ized. Making i, Faith a COLORABLE analysts awake enough to know how i/(humanity) is/(are) perceived in ORDER to BOOK ENTRIES UNDER Due(s) PROCESS to "IT's" DIRIVITIVE ISSUERs. One does not need be aware of "such implications" to realize THIS (TYPE) of "SYSTEM" is "BROKE"N. Begging the question for whom are we DOC-U-SIGNinc these "NAME" VESSEL's for? It is not natural to play with PEOPLE's TRUST as GOD's in ORDER to force PRAY for GRANT RELIEF. The question was never about how are we going to fix "THIS". The TRUE question is why are "we" being forced to DUE's PROCESS "THIS""D"eb-t(-3) payments if not to seek REMEDY on how to "fix" humanity at large? Superimposing PREJUDICE (pre-judgment), USURP's free WILLs violating BASIC human rights to exist. You ARE ORDERING JUDGMENT UPON how we've been PROGRAM-ED to believe called LIFE. WE are RIGGED to CHEAT at DEATH BY a LEAGAL substance ABUSE in a syndrome designed UNDER a "GOD INFUSED""MASTER" LIFE SUPPORT DE- humanizing SOUL VESSEL. Respectful Declared (i /(AM-JUR)/swearing). "ASSE®T ΩTM: As a soul whom legally changed her name to Faith in order to honor the creator of life, it should go without saying - had i been aware or awake enough at the times these unconscionable events took place, i would never have participated in such MINDLESS games IN MON(K)EY SUIT". TO DO so is discriminating for humanity IT'self. Humanity did not fail. Your "STUDY" of it did! In RE: Gross Negligence. Whenever you irrevocably transfer into TRUST, you fall into a government form of accounting. The Form to which is used for the Deed of Trust, is issued upon an IRS form. (Bottom right) The Courts operate as agents for the IRS (Rule 81 (f) whom are in defalcations under Rev Tax Code 23301 for violation of tax exempt SPV special Purpose vehicles). The Election of Action DOT on the state IRS FORM then is processed upon a S-3 form for securitzation to which is issued an OMB number. The Office of Management and Budget (OMB) serves the President of the United States in overseeing the implementation of his vision across the Executive Branch. Specifically, OMB’s mission is to assist the President in meeting his policy, budget, management and regulatory objectives and to fulfill the agency’s statutory responsibilities. This is turn is presented for the "future value" of the collateral (you) in exchange for Certificates as divestiture. The TUMERS or Trademark Underwritten Mortgage Electronic Registration System bypassed the secondary market and went directly into the collatorilization process. Meaning they used your signature to lend you, your own credit and used 1/3 of what they borrowed from you to pay off the purchase contract. So there never was a mortgage. Further under the "presumption of a mortgage" (which was really an elaborate commercial purchase and sale lease back) the Government OMB allowed for wash our provisions to which zero'd out what these "alleged mortgages" were. Under 26 1.1091 wash sale, you cannot foreclose on a zero'd out mortgage. So these industry idiots decided to use the REMIC SPV ((The Real Estate Mortgage Investment Conduits created under a Master pass through trust to which your NAME your ADDRESS and your LEASE BACK repayment to the investors they exchanged to zero out their "borrowed loans" were placed into seperate a Special (tax exempt) Purpose Vehicles.)) to have the POOLED LOAN (YOUR CREDIT aka you) REMIC to act the holder in due course. This REMIC is set up to take abandoned property to which you abandoned into TRUST upon irrevocable transfer upon that Government election of action. You became Government abandoned property to which they used you swap out your "non performing asset" "Your leaseback" for a performing asset someone else's "leaseback". under the use of your home to which there was ... no mortgage. 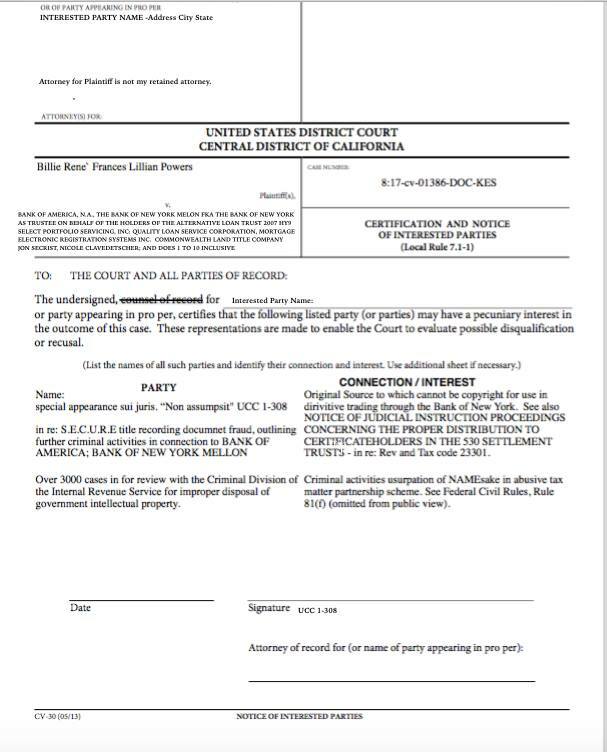 And because this is a State owned property as per that IRS FORM designation upon that Deed of Trust Government Election of Action, the courts aided and abeted in the swap out of a Government owned property. Title 12 is codified in the National Currency or National Bank Act of March 3, 1864 Under Title 12, Section 24, Paragraph 7. It tells you quite clearly, that banks can only loan money, not credit otherwise it goes beyond the powers of National Banking Association. You are an interested party as you held the right of use of the property Uniform Commercial Code › U.C.C. - ARTICLE 2A - LEASES (2002) › PART 1. GENERAL PROVISIONS. › § 2A-103. DEFINITIONS AND INDEX OF DEFINITIONS. A-103. DEFINITIONS AND INDEX OF DEFINITIONS. (a) "Buyer in ordinary course of business" means a person who in good faith and without knowledge that the sale to him [or her] is in violation of the ownership rights or security interest or leasehold interest of a third party in the goods, buys in ordinary course from a person in the business of selling goods of that kind but does not include a pawnbroker. "Buying" may be for cash or by exchange of other property or on secured or unsecured credit and includes receiving goods or documents of title under a pre-existing contract for sale but does not include a transfer in bulk or as security for or in total or partial satisfaction of a money debt. (b) "Cancellation" occurs when either party puts an end to the lease contract for default by the other party. The debt owed was from your undisclosed partner who used YOU (as a WE THE PEOPLE MEMBER BANK AGAINST THE PUBLIC TRUST) using you (a living breathing person held to the TRUST) as collateral for a debt to which they borrowed against YOU. Because you did not offset the debt, the Government settled on YOUR behalf through debt relief to which created more debts, ((because you abandoned you TRUST in the Government (frikken literal understatement of value)). You as the beneficiary of the "Governments TRUST" never received practicable notice to which somehow the Government was used to enact what equates to non-judicial methods under the ruse of judicial and non judicial foreclosures, using IRS FORMS, this now becomes inverse condemnations (for the government use in 1031 exchange for non-performing to performing assets), Meaning that you as an agent of the government (as you were bestowed this responsibility as a WE THE PEOPLE MEMBER OF THE PUBLIC'S TRUST LENDING "CREDIT" SCHEME 1933 bk HJR, you need to notify the courts and the government that you are alive after being presumed dead. 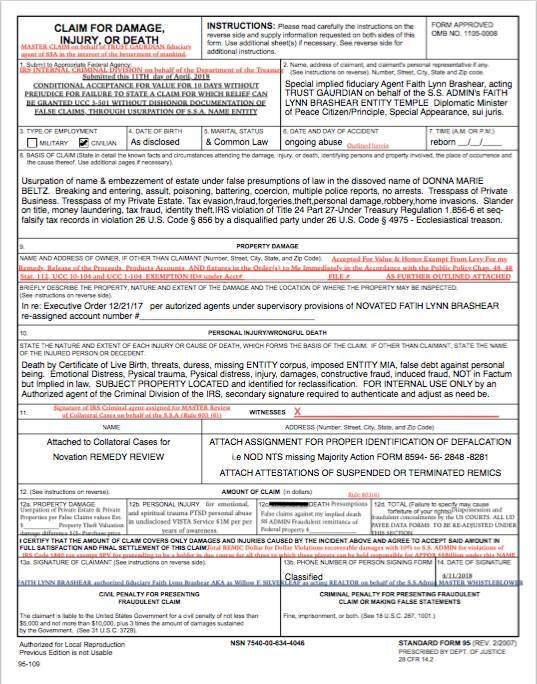 (F) If the Government does not send notice of a seizure of property in accordance with subparagraph (A) to the person from whom the property was seized, and no extension of time is granted, the Government shall return the property to that person without prejudice to the right of the Government to commence a forfeiture proceeding at a later time. The Government shall not be required to return contraband or other property that the person from whom the property was seized may not legally possess. Fill out what you feel will make you whole. All you need put is Fraud in inception Tax Evasion Those 1099's are owed to you and because legal abuse syndrome was expanded under the ADA you are now owed trebel damages PLUS your home back or its equivalent clear of title. Below are examples only find these forms yourself and fill them out and get them in. You may also want to fill out the IRS form for ID theft and report this theft to the Federal Trade Commission because it is against the law to use someone else's social security number to which is upon those 1099's.